Better conversion strategies in place used with Internet Marketing can convert leads into sales or boost your business dramatically for little or no extra cost. There’s no point in wasting your effort behind generating those hard-won enquiries if they fall through the cracks of the marketing funnel. Many business are generating leads and prospects they need- but are unwittingly losing 95% of of their sales opportunities, and pouring thousands or millions of dollars down the drain. This process is used by creating a mapping funnel where you can list down all the marketing strategies in place currently at all the levels of the funnel. It tracks the actions you take to prepare for each sale; overcoming concerns; building trust; understanding your buyer’s goals, needs and wants; certainty that your product meets their needs; and many other levels where you analyze that your buyer is truly satisfied. This is how you’ll be able to study each step in the sales process and control them, convert them more effectively and address predictable buyer concerns before they even pop-up. What you can measure, you can still improvise on your efforts, but many businesses do not consider measuring the percentage of their hard-won enquiries that convert into sales. Once you start measuring your conversion rates, you get to know the exact figures of conversion, which were mostly over-estimates until today when you were not measuring it. This will also help you in lifting your ‘benchmark’ performance. Time wasted on unqualified leads could be a hell of trouble that can affect your sales success, as not everyone is wanting your products or services. 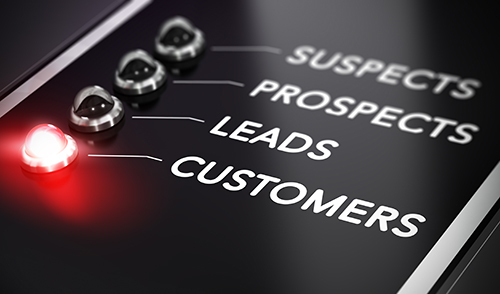 The sales people could be busy all day talking to leads or prospects given by the marketing team but not make any sales as their efforts are not concentrated with qualified leads. You qualify your leads using Inbound Marketing techniques where people come to your website to find the right information about the product they need or you qualify leads by offering specific propositions to ensure that people who respond to your marketing approaches are only those who desire your products or services, and have the capacity and motivation to buy it. Even if you have best of the fishing equipments with you, you’ll leave empty handed if there are no fish in the lake, but if you have the simplest of the net and are fishing in the lake that is teeming with fish, then your chances of catching the fish are much higher– this analogy is also true for online marketing channels. Most of the big businesses know that they have to talk to the clients who either already know about their services, or or are already using it, or have a higher probability of using it. Use only those channels online to keep your cost at bay, where most of the population of your customers or prospects resides. You should not waste time to convince people who don’t need your products or services when there are customers or prospects out there who are ready to buy your products, it’s just a matter of you need to research where they are present. The right offer to your customer can increase your response up to 300%. Most of the businesses wrongly assume that their clients or prospects already know it all about what they are selling, and they are just not ready to read lots of words. But the truth is prospects crave for as much information over the internet as they can to make an informed purchase decision. By “packaging” your expertise into special booklets, reports, downloadable pdfs or seminars where you can target your customers, you can educate and inform the very people who are most interested in making a purchase decision.